This book you guys. My God. It grabbed me tightly and never let me go until the very last word. I had been highly anticipating getting to the point in my TBR schedule where I could finally read this one because several of my most trusted fellow book bloggers had raved about it. The Twitter hashtag is #staysingle, how intriguing is that?! I can wholeheartedly join them in agreement that this is one of my top psychological thrillers of 2016. Within the first scene, the reader is immediately aware that there is something very off about Jack and Grace’s marriage. They seem like the perfect couple, especially when they’re around their friends and the general public, but everyone knows that things are not always as they seem. What secret are the two of them keeping? Which one of them is a frighteningly different person behind closed doors? 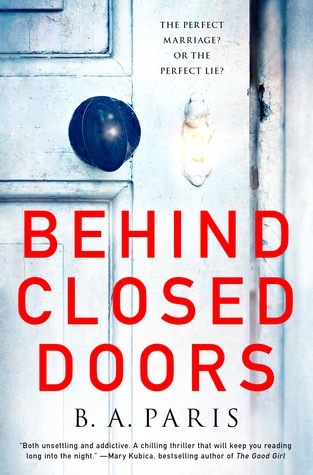 It’s a chilling and darkly disturbing journey to the truth. I need to warn you that there are parts of this book that are hard to read. I’m not very delicate when it comes to what I like to read, but even I found myself distressed at several points while reading this one. What is actually happening in their home is unnerving, sick, and horrifying and there is a level of manipulation and cunning that is unmatched. Even though I was quite panicky at times while reading this, I like that sort of book and enjoy the tension desperate situations create. Paris is a gifted writer and was able to keep me on my toes the entire time. She painstakingly crafted this novel while delivering domestic noir at its finest. That ending. Wow. It sent a cold chill up and down my spine and I had one of those moments where I slowly put the book down and just stared off into space while processing what I had just read. Thanks to BookSparks for my copy in exchange for an honest review. I read it a few months back and was as blown away by it as you were! It was really great, I had heard so many good things but it was still better than I expected. Wow, this sounds amazing! He’s “miserying” her oh that’s so crazy. Or at least that’s what it sounds like. Holy hell bars on the windows. I need to read this ASAP. Great review! Did you get a copy direct or from NetGalley? I’d love a copy of this book. Jill I actually ended up with two copies and I would love to send you one of them! Message me your address and I’ll drop it in the mail tomorrow. It’s soooo good. I am so excited to read this one now!! Oh a movie will be so great. The ending was perfection, I can’t get over how much I liked this one. I almost didn’t read your review as I just got this from the library after having it on hold for ages. I was worried it might put me off but has just convinced me it was worth waiting for. Oh that’s so good to hear! I hope you like it as much as I did. I cannot wait to read this! It’s defiantly going on my October TBR 🙂 Great review! Sounds like a very good novel! :O Glad you were amazed by it! Yes there are definitely shades of Gone Girl so maybe you should stay away haha. My husband thinks I’m a little sick for reading this type of stuff but I just love it! I’ve seen reviews for this book and it makes me want to go outside my genre and read it! Thank you! It’s pretty intense but so good! 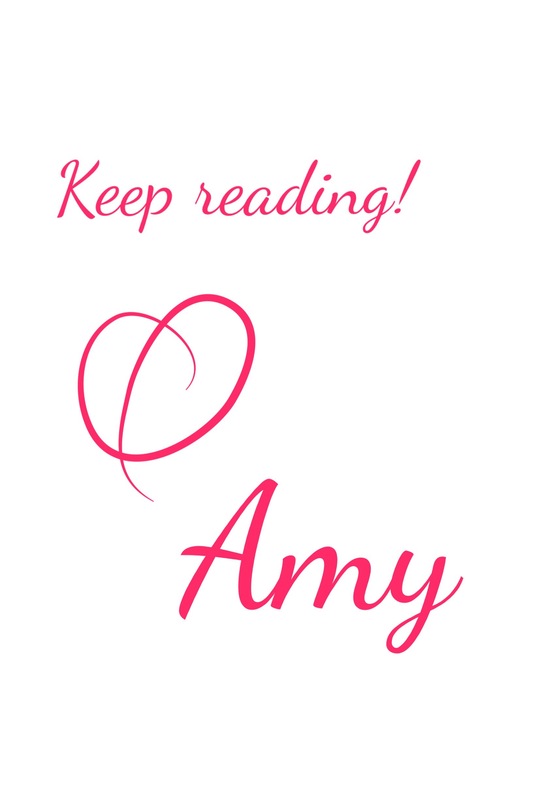 Thanks for the great review amy! SO many people just love this book, I just have to give it a try. You really have a way with words, it makes me want to start reading right away! Thanks so much!! It was one of my top reads this year, I hope you like it too!